NFA is proud to announce our 2019 tour--a river cruise through Provence aboard the Amacello. Whether you have been to Provence many times or will be experiencing it for the first time with our wonderfully congenial group, you are sure to love this journey from Lyon to Arles on the Rhone River. 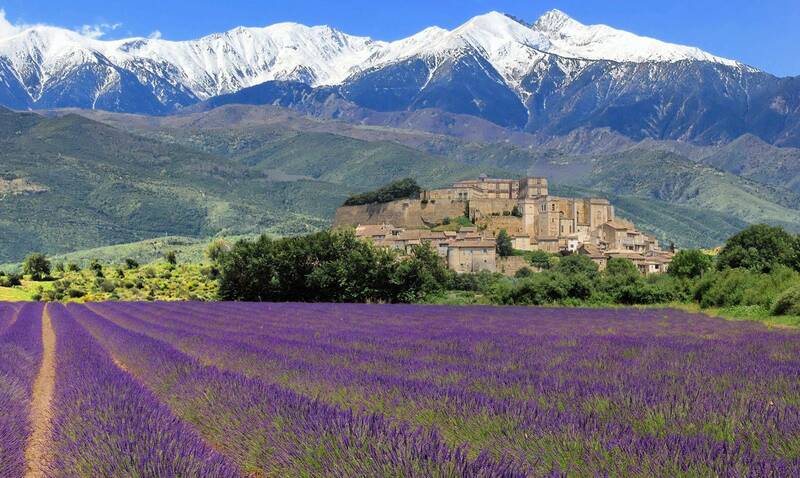 Please take a few moments to look at the attached Colors of Provence brochure and make your plans to join us! Prices: Please see the attached flyer for a deck plan and pricing for each category. An additional $182 port charge will be added. The group insurance we have been offering for past tours is no longer available. The group plans available now are all age rated, which means that the insurance offered by AMA Waterways at a premium equal to 10% of your trip cost is actually less expensive than other group plans available to us. If you are younger than 70, it is possible to find good trip insurance at a better price, and I would encourage you to shop on line or contact me for a quote. For those of us who have enjoyed our 70th birthday, the AMA insurance will almost always be a better deal. Note, however, that costs for any services not provided by AMA Waterways (airfare you arrange for example) will not be covered by insurance obtained from AMA Waterways and will need to be insured separately. Premiums for any options purchased from AMA such as extensions or air will be charged at the time the option(s) is added to your cruise reservation. It is important to note that AMA Waterways insurance policy and any individual policy you may purchase will not cover pre-existing conditions unless the insurance is purchased within a few days (21 days for AMA Waterways policies) of your initial trip deposit. You may still purchase insurance at any time prior to final payment for your trip, but pre-existing conditions would not be covered if insurance is not purchased within days of making your initial deposit. AMA Waterways' insurance policy is not offered for residents of Pennsylvania, Puerto Rico, and Canada. I can help you find a trip insurance policy. The attached Cruise Protection Plan fully explains the AMA Waterways insurance coverage. Based upon our previous experience with AMA Waterways, you will probably be able to get your coach or business class airline tickets through AMA at a better price than can be obtained elsewhere, and they do allow deviations that allow you to fly into or back from different cities as well as deviations in dates of travel. If you purchase airfare from AMA and have no deviations, your transfers between airports and the ship are furnished at no charge. If deviations are not requested and pre or post cruise extensions are not booked, AMA Waterways will fly you into Lyon with return from Marseille, which is approximately 2 hours from Arles. When booking through AMA Waterways, a deposit of $300 for Economy and $600 for Business is required at the time of booking and is non-refundable. A passport copy, preferably sent to me by email, is required before air can be booked with AMA Waterways. When you are ready to purchase your ticket, I will be happy to discuss your preferred airline(s) and schedule(s) and get a quote from AMA. Since many of you traveled with us to Holland, you are now a "past passenger" and will be eligible for a $100 per person discount in addition to the group discount. If you purchased a "future travel" voucher while on a previous AMA Waterways cruise, be sure to let me know that at the time of registration so that you will be given the applicable discount. AMA Waterways offers 3 night extensions to Paris pre cruise and Barcelona post cruise. Information about the extensions is detailed in the registration form.